I actually met Louise YEARS ago on the set of Britain’s Next Top Model and instantly fell in love with her, she is such a natural beauty inside & out. I have since gone on to love her beauty brand Wild About Beauty, that completely captures the true natural beauty of Louise herself. 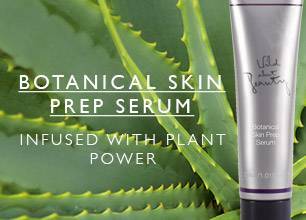 Louise created Wild About Beauty with celebrity make up artist Kim Jacobs, my favourite product is their Botanical Skin Prep Serum £22, an antioxidant rich primer/serum hybrid, great for prepping your skin before make up! Packed with amazing skin care ingredients such as Green Caviar Extract, this paraben & silicone free serum will rejuvenate and nourish the skin. “We know her as a singer and TV personality, but away from the spotlight Louise Redknapp is also a businesswoman. In 2012 she co-founded make-up brand Wild About Beauty, making her something of an expert in the field. Now Louise, 41, has teamed up with Groupon to create four bespoke make-up tutorials which are available to buy from the website for a limited time. But her success in the cosmetics industry doesn’t mean former Eternal star Louise has always been a natural. “I’m sure I’ve had plenty of mishaps over the years,” she tells HELLO! Online. “One of the reasons I wanted to come up with my own make-up range is because of getting in the car for the school run at 7.30am and looking in the mirror to see you’ve got glittery bronze cheeks. Louise turned 41 in November but she still gives women half her age a run for their money – and impressively she doesn’t have a long list of lotions and potions she uses to stay looking young. In June 1998 Louise married retired footballer Jamie, 42, in Bermuda, and 17-years later they’re still one of the best dressed celebrity couples. But the mum-of-two is very relaxed when it comes to dressing up. And Louise’s fail-safe fashion option? A timeless blazer. She says: “I always think if you’ve got a good cut blazer on it just works. You can’t beat it with a cool pair of Stan Smith trainers and a cropped trouser or jeans.